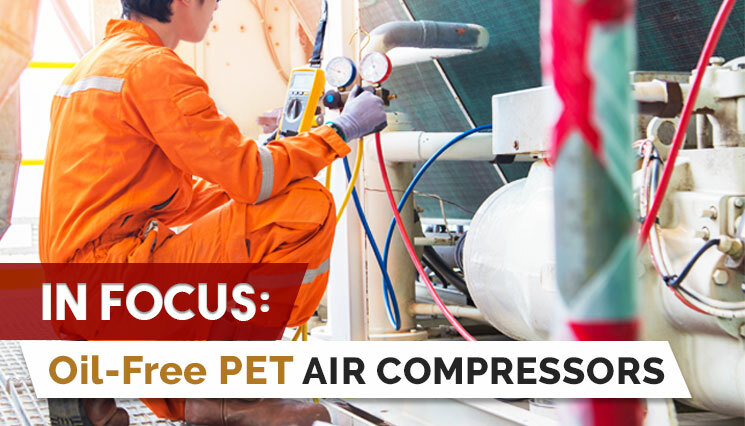 IN FOCUS: Oil-Free PET Air Compressors | Compresstech Resources, Inc.
Compresstech Resources Inc. is a pioneer in the high-pressure compressor supply for the beverage and bottling industry. Having over 30 years of experience, we have established a close relationship with bottlers and engineering businesses in the country, supplying them with state-of-the-art compressed air solutions. Among these include oil-free PET air compressors from the leading brands, GD Belliss & Morcom and Armstrong. In this article, you’ll learn more about the said products. But, first, we start with the fundamentals of PET air compressors for further guidance. What are PET Air Compressors for? PET air compressors are designed for blowing bottles manufactured from polyethylene terephthalate (PET). This material is considered highly versatile and is in fact one of the most valuable components of synthetic fibers. Aside from being a common ingredient in plastic bottles, PET is also used in food containers, resins and thermoforming applications. There are several types of compressor units and they are further divided according to their applications. For larger operations: oil-free, water-cooled, three-stage or two-stage booster. Type of Bottle – bottles tend to have different pressure requirements depending on their purpose, and their complexity will determine the type of compressor you need. Air Quality – lubricated air compressors employ three stages of filtration for the removal of the taste and smell of the lubricant. You can skip this process by opting for oil-free PET air compressors. .
Operation Hours – businesses that require the use of PET blow system for longer hours per interval should invest in oil-free compressors or other alternatives designed for intensive operations. Blow Pressure Requirement – the required amount of blow pressure is also a key factor you need to consider. It will be decided by the bottle design and machine speed as well. Power Cost – finally, since you are investing in a quality PET air compressor, you might as well invest in one that is energy-efficient to make the most of your investment. True, there are many alternatives to consider, but oil-free models are often believed to be the ideal option. They ensure that no lubricant is used in the process. Our oil-free PET air compressors are equipped with advanced features capable of providing oil-free high pressure air tailored to meet different challenges and requirements at lower operation costs. Contact Compresstech today to learn more about the GD Belliss & Morcom and Armstrong PET air compressors.